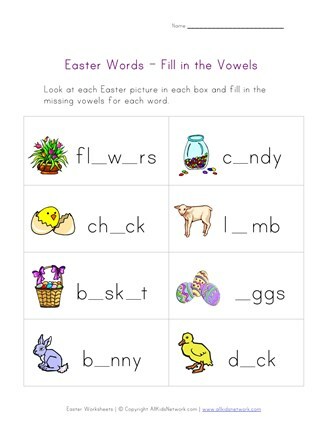 Check out this printable Easter missing letters worksheet for kids. Look at the Easter pictures in each box and then determine the missing letter in each Easter word and write it on the line provided. Print this worksheet out with the rest of our Easter worksheets.